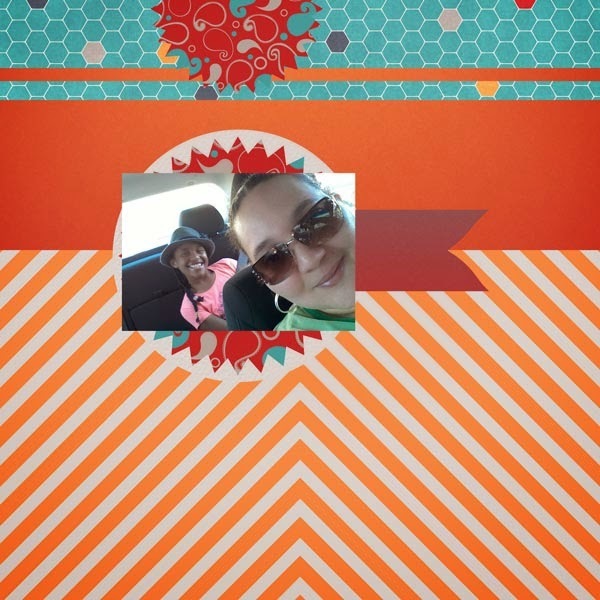 MyMemories Blog: Designer Tip Brought to you by.... Love It! Scrap It! Designer Tip Brought to you by.... Love It! Scrap It! MyMemories wanted to get the blog going with a look into our (the designers) creative processes when WE go to create a layout for our personal albums. If you caught my Daily Designer story, I've been digital scrapping for over 5 years now and I've come SO far. Lol. I remember when I was just learning and wanted to make all those gorgeous and beautiful layouts I'd see in the galleries and around the web. Most of the time I failed. Then I learned about sketches. What are sketches? Well they are "maps" if you will on how to design a layout. They show where the photos, shapes, elements and title and journal go. You can follow a sketch piece by piece, or you can interpret to your own tastes and make it fit for you. Depending on the sketch I do both. One of my favorite places to find sketches is, Page Drafts. She makes the most gorgeous sketches, they look like works of art by themselves. So today I decided to show you my steps for when I follow a sketch. Of course, step 1 is to find a sketch you want to follow. You can visit Page Drafts, Page Maps or do Google searches for 'scrapbook sketches' to come up with a vast array of options. After I've found the sketch, I decide on my photo(s) choice and what product(s) I want to use. 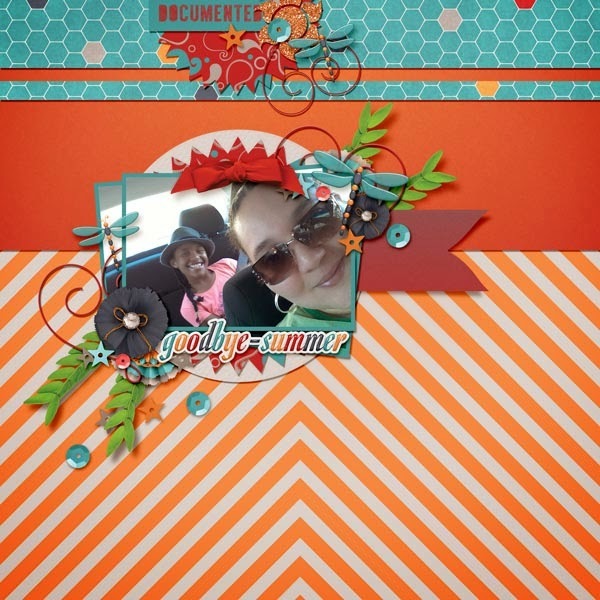 For this layout, I went with my kit, Indian Summer. (Get it in my store at MyMemories for $2). I see that I will need 3 backgrounds to follow along with the sketch. 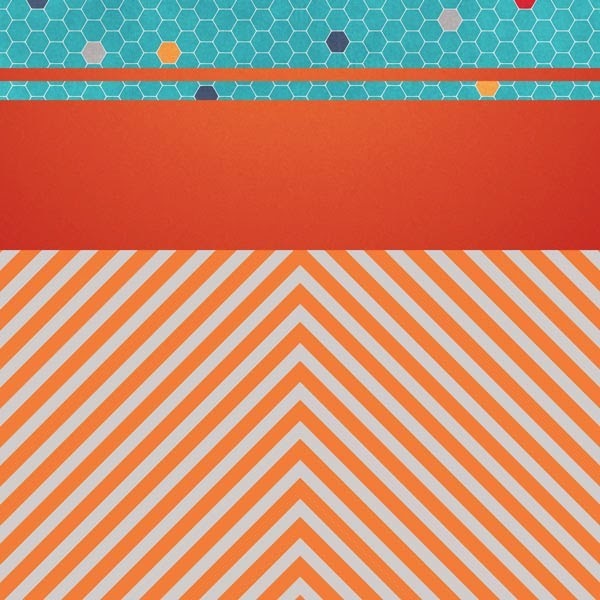 Notice the bottom portion is striped, so I decided to go with stripes but in a different variation, and I go with a solid for the middle portion and the hexagons for my top patterned portion. And I get them lined up like the sketch, or as close to it that I can eyeball. Next I want to get my shapes made for the mats underneath the photo(s). I see that my sketch has a doily shape and zigzag edged circles. The product I'm using doesn't have a doily, but I decide to make a circle out of a solid light gray paper, and I use a paisley patterned paper for the zigzag edged circles. I get them sized and placed following as closely to the sketch as I can, since for this sketch I want close to an exact copy. Next I add a 25 point stroke in the teal blue color to my photos and I also add my drop shadow to them too. Then I start to arrange and rotate them to fit what I see in the sketch. My layout is beginning to take shape. At this point if I didn't like what I was seeing, I'd probably change sizes of some of the pieces, or pick another photo, and at the very last resort, I may even decide I don't like the kit I'm using and start over with a new product. Now I'm going to go back to those cut out circles you see. 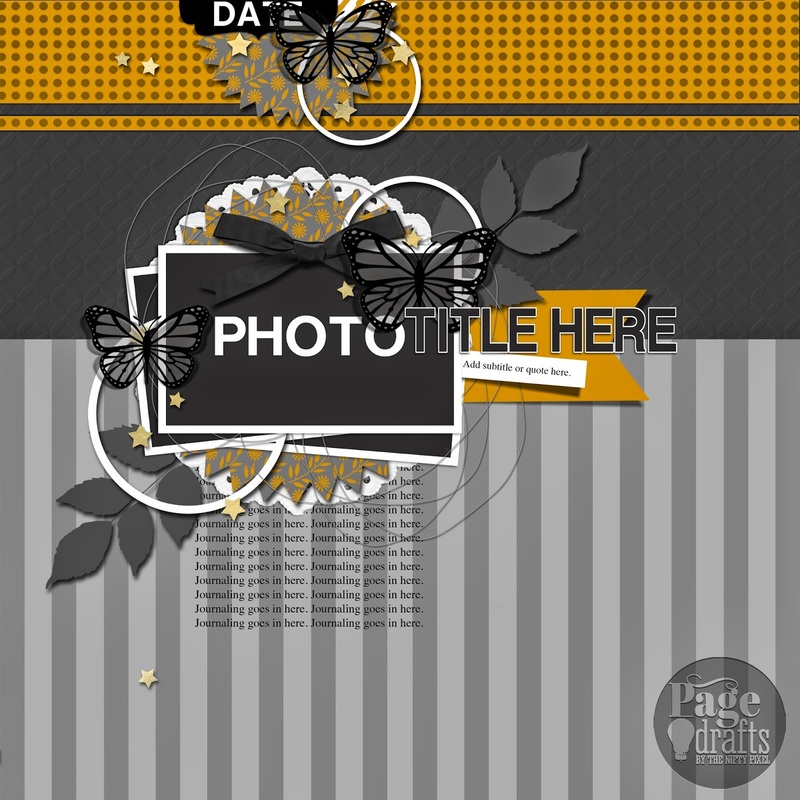 They are adding movement to the page and leading your eye from the photo up to the date holder. 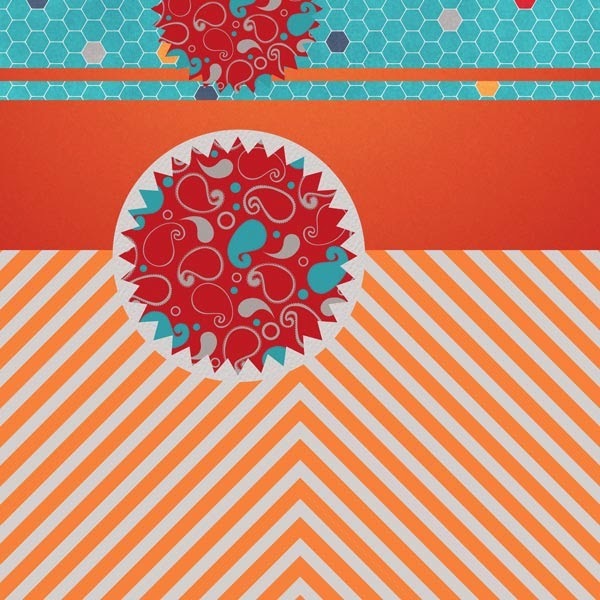 I decided that instead of those circles, I'm going to use a heart string. And I went ahead and added shadows to everything else on my page. I rotated and even flipped the heart strings to fit them how I thought they looked best for my layout. Now this thing is looking really nice. My sketch has some leaves that are below everything so I get those added, and just because I have to use flowers, I go ahead and add some of those too! Lol. I place some above and below my photos. I also get the ribbon at the top of my photos added. I move and rotate everything where I think it looks good, using the sketch as my guide. Since my sketch doesn't include flowers, I just "eyeball" or place them where I think they look nice. Now is the fun part. I added all the shadows. I usually will tweak my shadows a LOT so that they look realistic and "pop" from the page making my elements look real. I don't want shadows that make my elements look as if they are "floating" above my page, but I don't want "flat" looking elements either. Now I've got to get the little extras added, the butterflies and the stars. I had dragonflies in my kit and I had some sequin scatters that I used instead. I rotated, resized, and even cropped the the scatters to fit what I needed. I put some of the scatters on top and some underneath the leaves. I added shadows to all of that. I notice that the date holder is at the top of the sketch, but I don't need a date for this layout, so I used a journal card and cropped out the area that had the word "documented" and used that at the top of my page, it actually gives it a secondary title. I then find a word art in my kit and I used that as my title at the bottom of the photos. I didn't like the title to the side of the photos since it would have covered my face, lol, so I went for the bottom. I also didn't feel the paper strip to the side of the photos was needed for my layout. Then I added shadows to those and voila I'm done!! Thanks for joining me. You can grab my kit, Indian Summer in my store for $2 only at MyMemories.